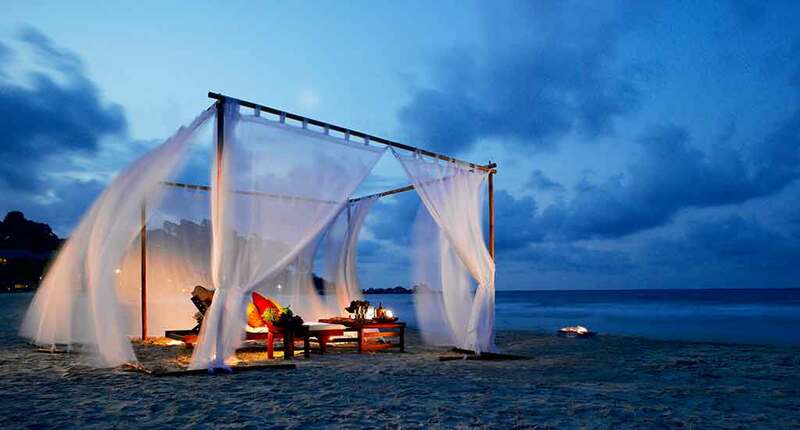 The Banjan Tree Bintan is situated between blue waters of the South China Sea and the tropical forests of the island. 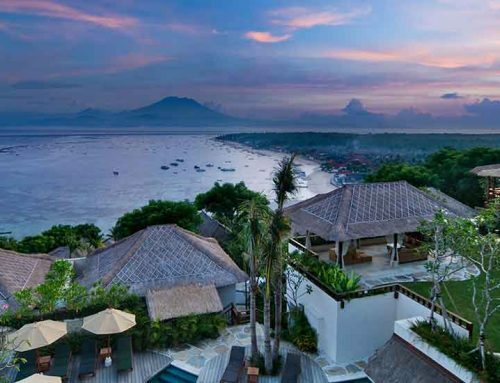 This strategic location delivers amazing views of the sea stretching as far as the horizon can go, with the coastline basking in the tropical sun. The island is teeming with the giant trees and wildlife of the rainforest and secluded beaches with translucent waters. 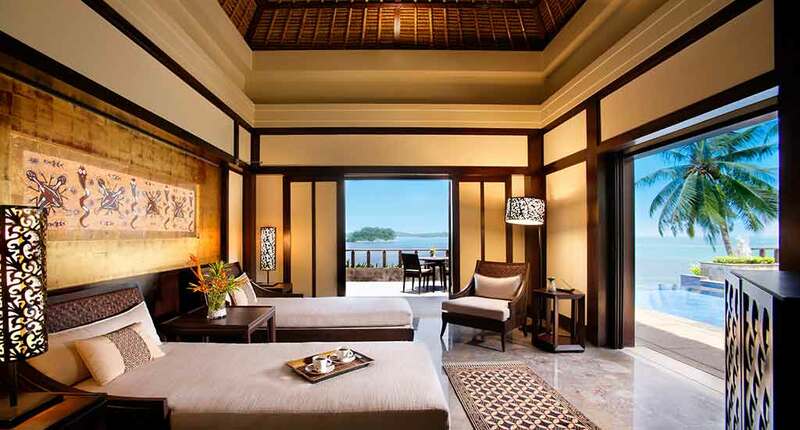 Banjan Tree Bintan has 64 luxurious villas beautifully decorated in traditional Indonesian style, each raised with stilts and perched on the hillside. Each one offers a flat- screen TV, DVD player, hair dryer, bathrobes, sunken bath, and complimentary coffee and tea making facilities and refrigerators. Of course, you can view the sun setting in the South China sea from the privacy of your own terrace. 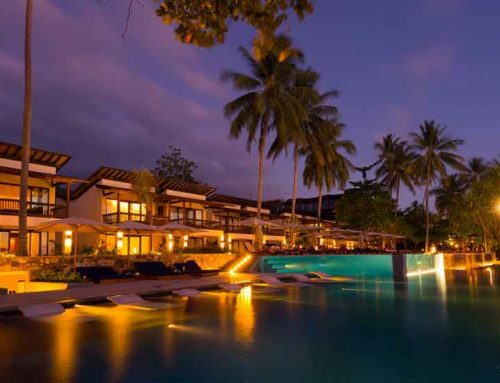 Moreover each villa has a private swimming pool if you don’t feel like venturing off in the sea. 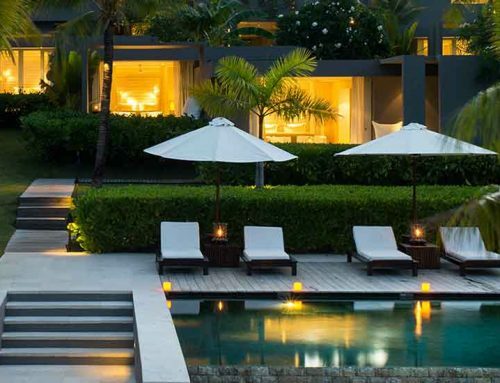 There is a total of 52 pool villas, and six exclusive one-bedroom villas, perfect for honeymooners, and also six two-bedroom Banjan pool villas which are ideal for families or large groups. 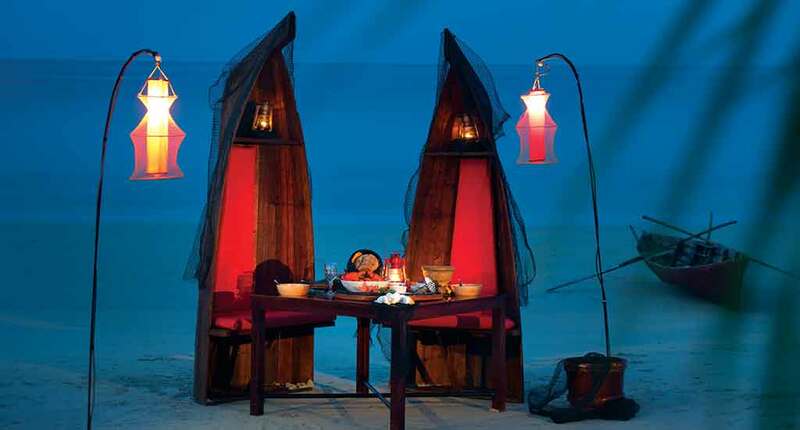 Spend a day at the spa and get a signature massage in a private cabana followed by a gourmet dinner. 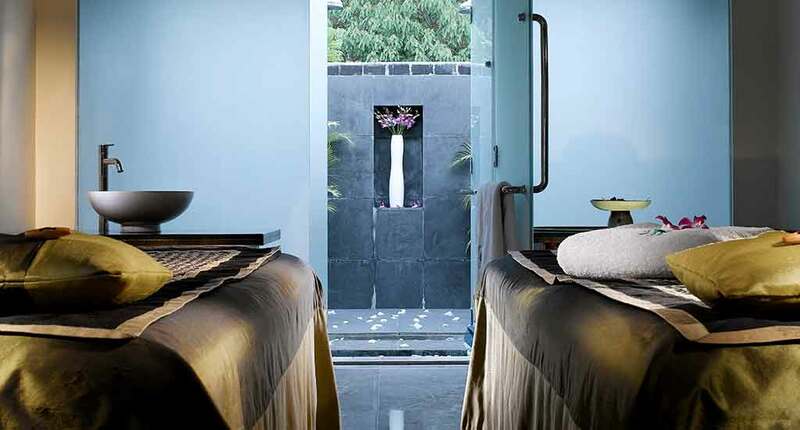 The spa’s yoga pavilion offers classes in a serene natural setting. The main Saffron restaurant offers Thai and Indonesian favourites with Asian inspired cocktails. The Cove is the best choice for modern European dishes. Treetops restaurant focus on traditional Indonesian cuisine and is located on an elevated terrace overlooking the tropical forest. Trek through Bintan island’s dense tropical rainforest, and be rewarded with a magnificent 360 panoramic view of Bintan when you reach the Gunung Bintan Baesar. The summit of this peak can be reached through forest trails and the climb usually takes around three hours. Also Scuba diving and snorkelling are a must here. Indeed, Bintan is one of the locations where large sea turtles swimming around. The variety of sea life here is very attractive and colourful. 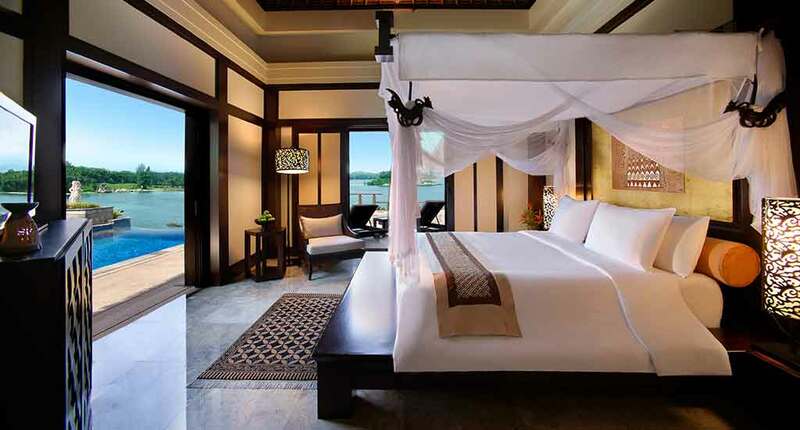 Banjan Tree Bintan is a beautiful all-villa establishment. 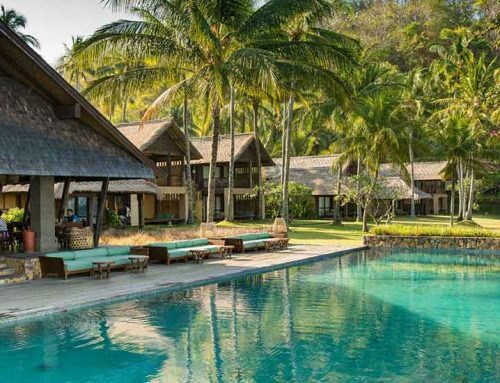 It lets you hide away amid the verdant tropical forests of the island, an oasis of luxury and privacy in a natural setting. Address: Jalan Teluk Berembang, Laguna Bintan Resort, Lagoi, Sebong Lagoi, Tlk. Sebong, Kabupaten Bintan, Kepulauan Riau 29155, Indonesia.